Having enjoyed our brief visit it was time to head east. We had an invite to stay with friends that we made on our previous holiday to Scotland last summer. 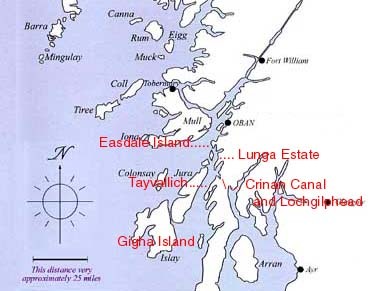 On leaving the west coast our route took us across through the hills to Tayside on the east. 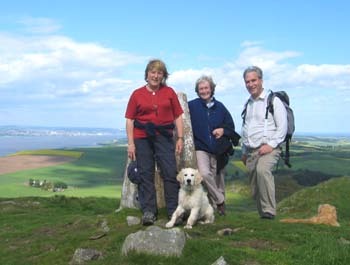 Harry, our puppy, was still too young to attempt any long mountain treks along the way so it was viewing only this time. 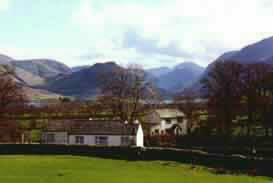 This was remote lowland forestry with not a house in sight. 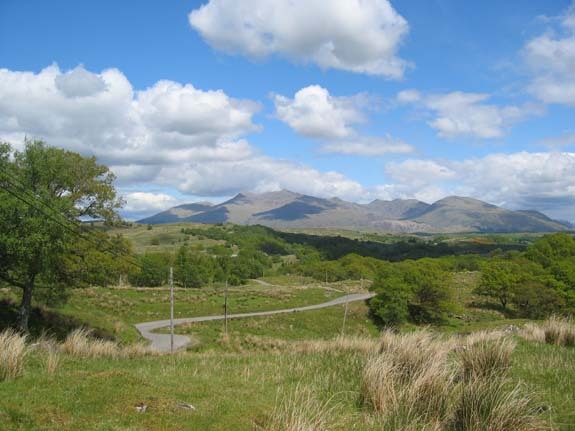 Ben Cruachan from the road past Loch Awe. Several hours and several miles later the weather eventually cleared. Tayside in the evening light. 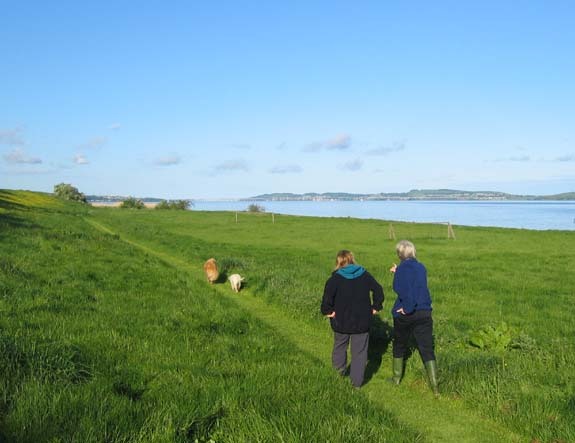 Ann with Sally and the dogs as we take a stroll by the River Tay Estuary. 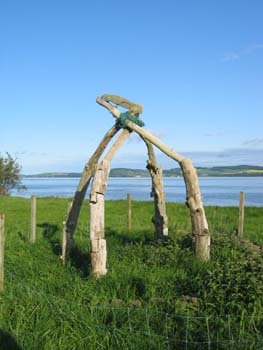 The sculpture was a local one made as part of an Art College project by a relative of the local farmer. 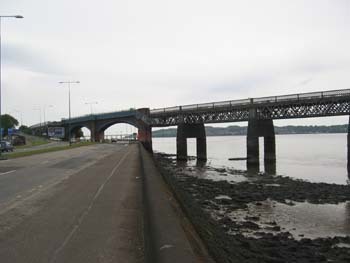 In the far distance you may be able to make out the Tay Rail Bridge which we drove under next day. 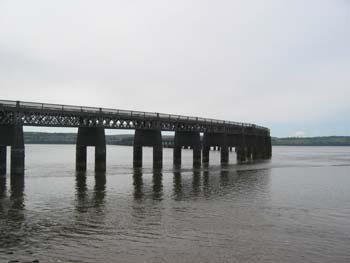 The Tay Bridge, scene of a local train disaster when first constructed, was rebuilt and strengthened and has been joined in recent years by a fine road bridge too. 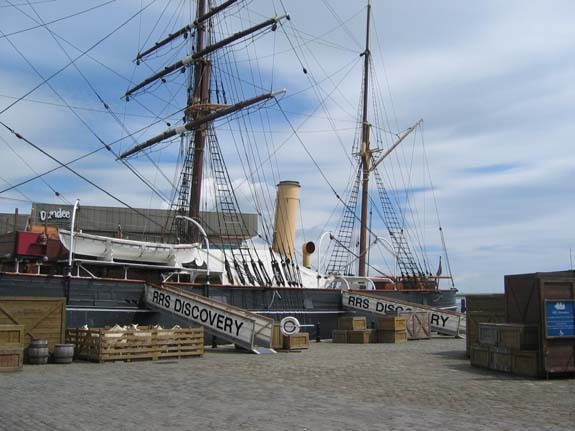 Now returned to her home town, the Discovery was specially built in 1900 for Antarctic polar research. 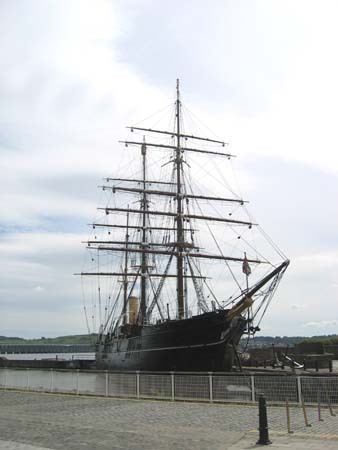 It is now berthed at the Discovery Point at Dundee alongside a purpose built museum and heritage centre. 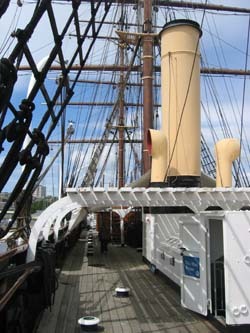 Both the centre and the boat itself are well worth a visit. Allow plenty of time. 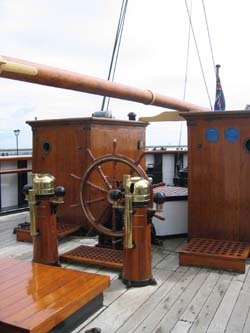 The open stern wheel deck, the galley, and the main deck and rigging. 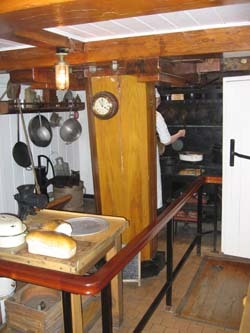 A reconstruction of loading in New Zealand prior for leaving for Antarctica. Back on dry land . 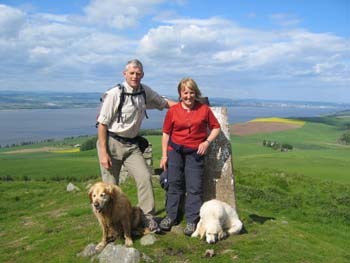 . . A walk with Colin and Sally up the hill known as Norman's Law. 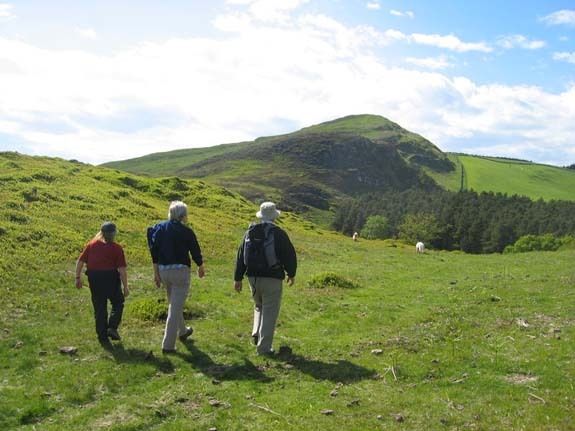 A favourite of theirs, the hill lies south of the River Tay and provided us with an excellent afternoon walk. 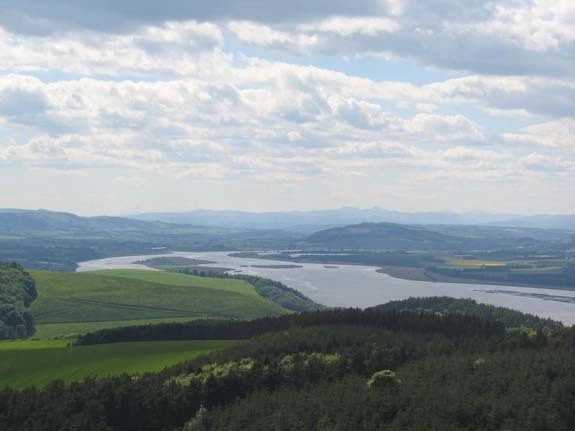 Finally looking west to Schiehallion and the distant southern Grampian hills before returning home next day. This site best viewed . . . with an "Visit the Discovery Centre" ticket.